Are you envious of those cool page-flipping animations that you see in your favorite apps? Ever wish you could do that, but lack the programming expertise to pull it off? Well, today's discount software promotion is right up your alley! It's Kvisoft Flipbook Maker, and it'll have you creating your own flip books in no time, without needing to learn any coding! Kvisoft Flipbook Maker lets you convert PDF files to animated flip books implemented in Flash, without the need for any programming. With Kvisoft Flipbook Maker, any PDF file is game, which means you can go about immediately publishing page-flipping magazines, e-books, newspapers, catalogs, and other publications. Just three steps stand between you and utter publishing genius - just import your PDF and images, customize styles, and publish! 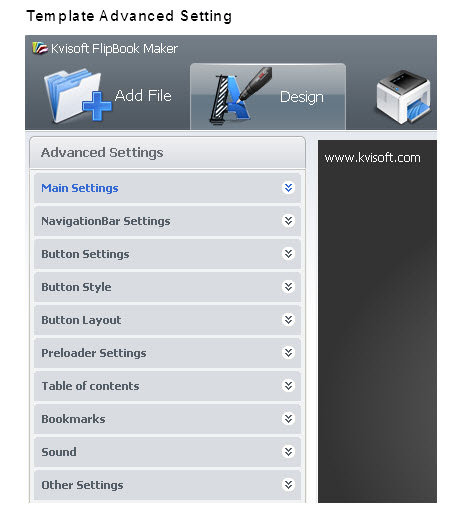 Or take advantage of the intuitive interface that Kvisoft Flipbook Maker gives you to get easy guidance. 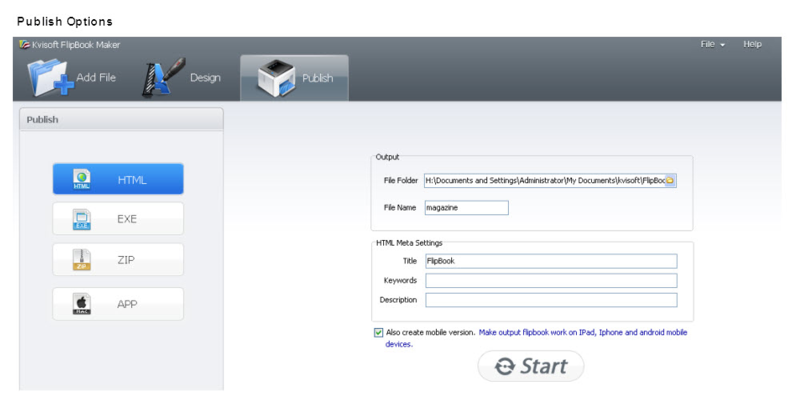 Want to see Kvisoft Flipbook Maker in action? Click over to the demo page! 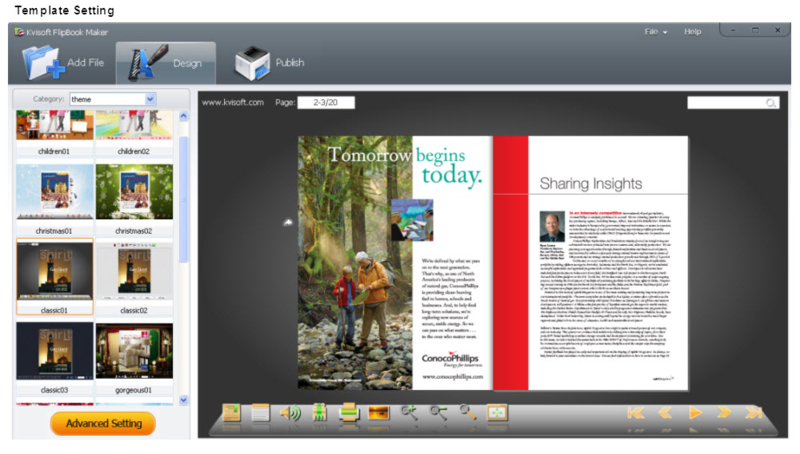 Multiple integrated templates make it easy to get started with Kvisoft Flipbook Maker. Customize backgrounds, colors, and images, then tweak the control buttons, nav bars, and other elements to get the look and feel that you want. When you're done, you get to choose how many platforms you want to publish to - HTML for websites, an .app executable file for Mac platforms, a standalone EXE, a ZIP archive, or as a publication that's tailor made for viewing on mobile devices like the iPhone, iPad, and Android systems! Even after you've released your page-flipping masterpiece to the wild, the adventure continues! Kvisoft Flipbook Maker lets you integrate Google Analytics into your books, letting you monitor how many people are seeing your pages. Plus, all text in your book is SEO friendly and capable of being indexed and listed on search engines! Best of all, Kvisoft Flipbook Maker lets you easily share your publications to Facebook, Twitter, LinkedIn, Digg and more with just the click of a button! After you purchase Kvisoft Flipbook Maker it may be used indefinitely. Kvisoft Flipbook Maker is licensed per user, so if more people are going to use Kvisoft Flipbook Maker you will need to purchase additional copies. Transfer of a license to another owned computer is not allowed. Email license activation is required. what's this? Upgrades to future versions of the software will be free for minor versions only. For versions after that, upgrades will require additional payment, which will be discounted. Is this policy statement correct "Transfer of a license to another owned computer is not allowed." Carly from kvisoft You can transfer to another computer. Please first uninstall in your old computer, then install it to your new one.The old keycode is still valid. Carly from kvisoft You cannot use one license on multi computers, but you can transfer it to another computer. Please first uninstall in your old computer, then install it to your new one.The old keycode is still valid. Renaud Duval How about pro version? Can we get a similar deal or 50% may be as it is more expensive? Ailsa Joy The Kvisoft Flipbook Maker Pro version can allow users to add links, videos, images to the flipping pages. Convert PDFs to Image Formats in One Easy Step!